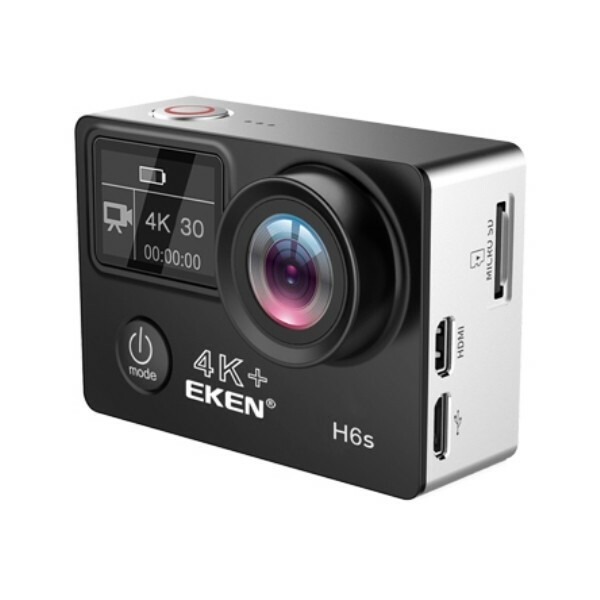 Featuring 4K30/4K25 EIS/2.7K30 EIS/1080p60 EIS/1080p30 EIS video resolution and 14MP photo, the EKEN H6s 4K video camera allows you to take professional quality video from anywhere you wish. Just download the Ez iCam App on your iOS or Android phone and connect with this action camera. 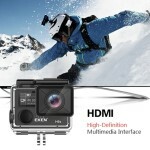 It lets you control your camera remotely. Features include full camera control, live preview, photo playback and sharing of select content and more. HDMI Port allows connection for television playback. Built-in EIS with 3-axis gyroscope and 3-axis accelerometer detects position and motion changes. When the 4K EIS video camera tilts, moves, shakes, or experiences impact, the sensors use image cross-border compensation algorithm to compensate the change and produce stable videos. 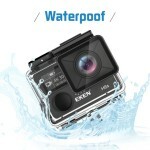 Put your action camera into the waterproof case, to capture all your underwater sports. 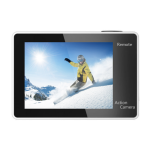 Use the 2'' IPS screen to preview videos and photos in the camcorder.